The All Round Safety - Electrical Work Harness range provides an innovative design to protect the electrical linesman and tower workers from electrical arc. Designed for line workers operating from cherry picker buckets, The Dielectric Harness is based on our standard SBE2K full body harness with the added safety of fully insulated steel hardware across the entire harness. The buckles, adjusters and dorsal D-ring are all coated in a strong, non-conductive plastic for total peace of mind when working near live wires. 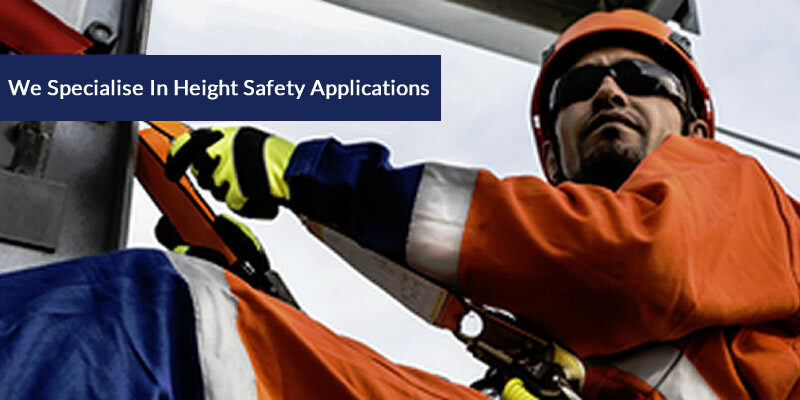 The QSI Tower Harness takes height safety to a whole new level. Specially designed for electrical situations, the harness is gloved from the waist up to allow it to be used in linesman work. 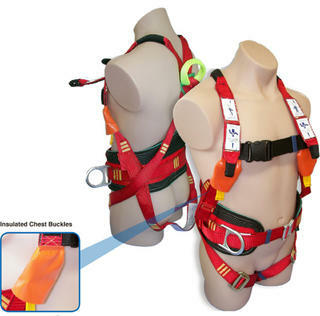 It features covered chest buckles and polyester webbing Dorsal Ring to reduce the risk of electric shock, as well as a padded waist belt and lateral D-Rings for hands free stability. 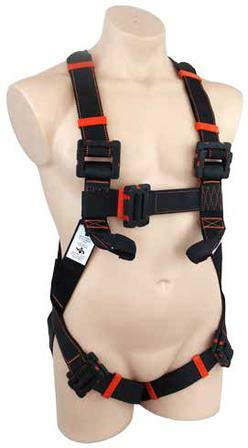 The Live Wire is a revolutionary new harness designed for linesmen and tower workers. The Live Wire harness is the combination of two years of hard work drawing from three of our best harness designs. 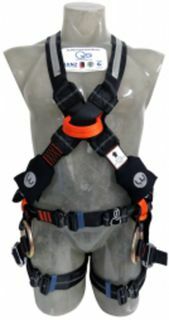 The unique design helps eliminate suspension trauma when the user is suspended from the front D-ring or side pole strap rings. We also do custom branding on your safety gears as we emphasize on the importance of brand recognition and also assure that the equipments comply with the appropriate safety standards. We have options on both monochrome and full colour options. We also do Block Label where your logo is printed and sealed under the heat shrink plastic of your shock absorbing block.